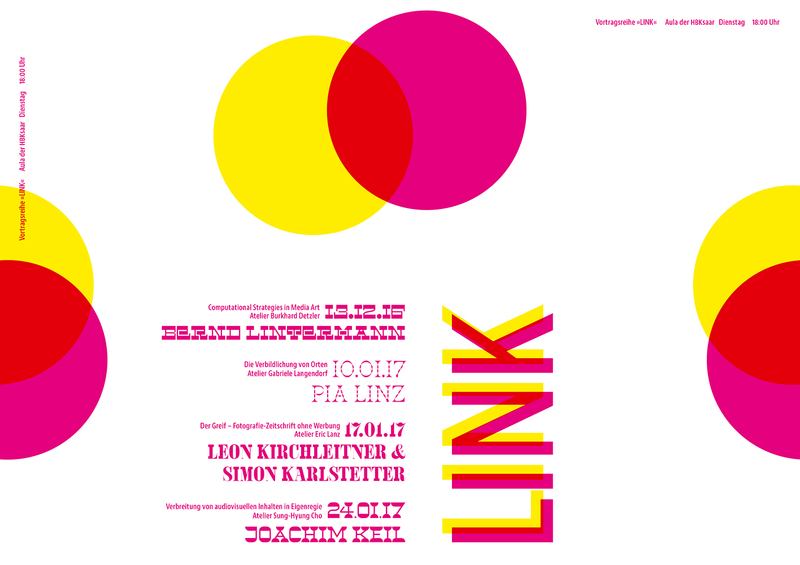 Simon Karlstetter and Leon Kirchlechner have been invited to give a talk at HbK Saar as part of their series of talks entitled »Link«. Link invites renowned personalities from the fields of media, art and design to present current and interesting subjects, developments and projects. The talks are followed by a rather informal Q&A.